Singer/songwriter/pop culture icon and 2013 Rock & Roll Hall Of Fame inductee Donna Summer rocketed to international superstardom in the mid-1970s, when her groundbreaking merger of R&B, soul, pop, funk, rock, disco and avant-garde electronica catapulted underground dance music out of the clubs of Europe to the pinnacle of sales and radio charts around the world. Next month, on October 22, Verve Records will release ‘Love To Love You Donna’, a remix record celebrating her life and voice. 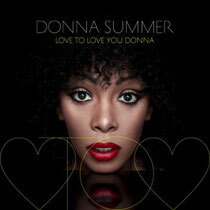 Highlights from ‘Love To Love You Donna’ include the legendary producer Giorgio Moroder's entirely re-imagined version of ‘Love To Love You Baby’, originally recorded in November of 1975; Afrojack’s take on ‘I Feel Love’, and indie electro artists Hot Chip’s interpretation of ‘Sunset People’. Also included are remixes of ‘Hot Stuff’ by Frankie Knuckles and Eric Kupper, Laidback Luke’s remix of ‘MacArthur Park’ and more.